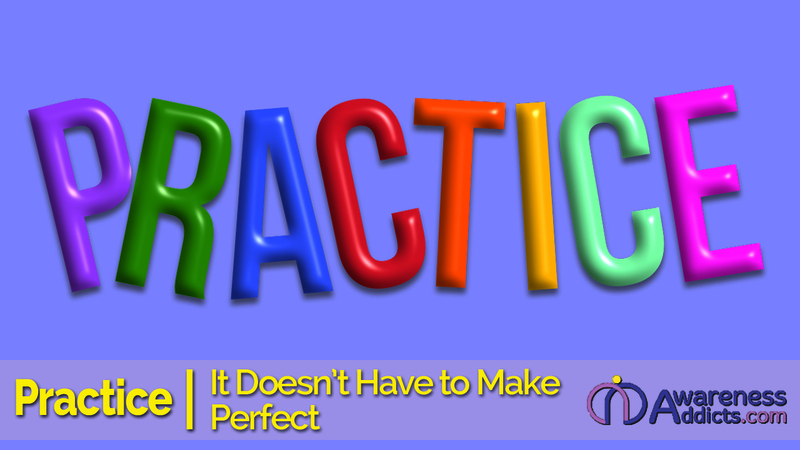 We’ve all heard the saying…and may have even repeated it, “practice makes perfect.” Being a recovering perfectionist, anytime I find myself striving for perfection it’s a sign of impending danger. If you’ve ever been to the dog races, you’ll recall that the announcer cries “Here comes the rabbit.” The dogs are released to chase something that they have no chance of catching. And, they chase it as if their lives depended on it. So, why do we pursue the impossible? That’s the subject of today’s appreciation. It’s the practice that holds the promise of catching the prize that you must wring every ounce of satisfaction out of. Even if we catch the prize, we will not be satisfied. We will find the next bright shiny object to chase. There are several things I “practice” most mornings with the only expectation that I will feel incrementally better having done so…and that increment might be so miniscule that it is unrecognizable. Still, these practices contribute to my happiness. Practicing meditation can be incredibly frustrating…especially when you’re new to it. Sitting still with eyes closed focusing on nothing more than your breath can be painful. There are ways to ease into it. 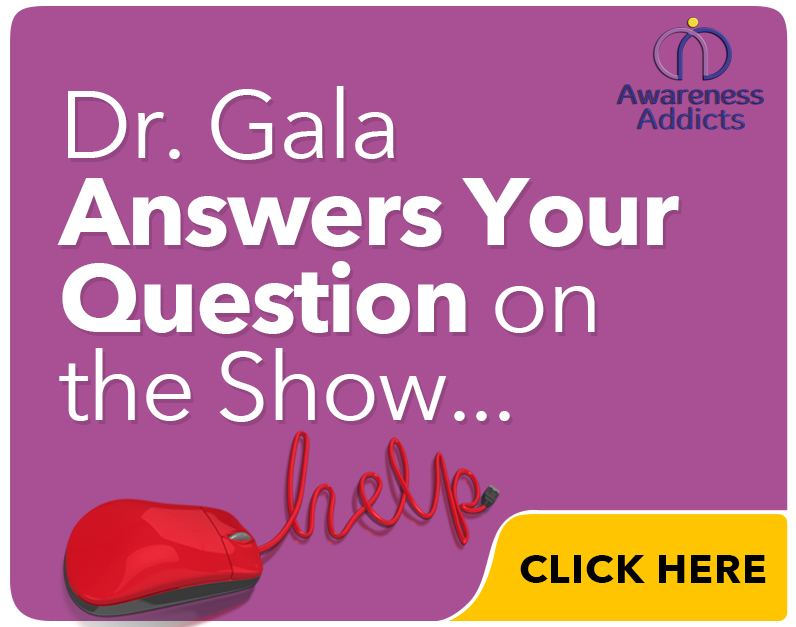 Using a recorded guided meditation can be helpful. Having a guide (or coach) for just about anything makes practicing easier and more fulfilling. Warning! Meditation can become addictive. I love practicing meditation and find it difficult to pull myself out on most mornings. 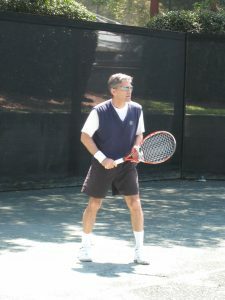 My husband Charlie is a really good tennis player. It has required many hours of practice. There is a program called PACE that was created by Dr. Al Sears. It involves practicing simple callisthenic type exercises in a very structured way. Most people complain that they just don’t have time for exercise. Well, that excuse no longer works. Dr. Sears has proven that you can get great benefits from exercising for as little as 10 minutes. My routine typically takes about 20 minutes. Still, who can’t make time for exercise when it only takes 10 to 20 minutes to get great benefits and results. Warning! Exercise can become addictive. No kidding on this one. I do enjoy my PACE routine…I just have to get started and I’m through it before I have time to excuse myself. About a year ago, we purchased a kit for an in-home infrared sauna. It was an afternoon project to put it together but it now sits at the ready in the corner of our basement/garage. The infrared sauna heats your body from the inside out. There are well-documented benefits that result from increasing your core body temperature in a managed way. Using the sauna requires conditioning…or practice. I’m accustomed to using the steam and sauna but I still found that I had to build up to the recommended exposure time. I must admit it’s much easier to sit with the heat in the winter when it’s freezing cold outside. Warning! Warmth can become addictive. I don’t have much tolerance for being cold these days. Anything below 75 degrees is chilly by my standards. I really love being warm and the sauna makes warming up a welcome part of my morning routine. So, what do you enjoy practicing? Do you find that practice (in and of itself) is satisfying? What do you appreciate about the activity you are practicing? Appreciation is a powerful tool that helps us create more of what we say we want in our lives. 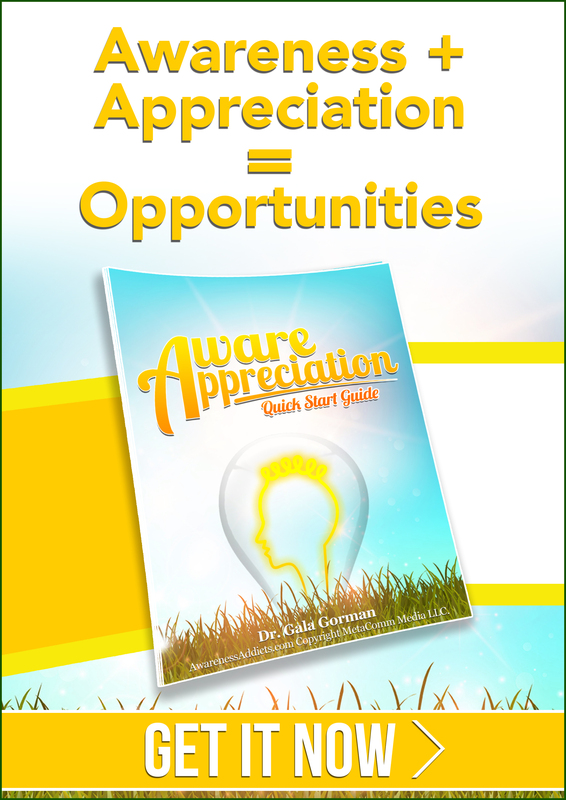 You can practice Aware Appreciation along with me. By signing up, you’ll also receive daily reminders.